Indian-American activists who call themselves as the Alliance for Justice and Accountability launched a modifail.com website in protest against Prime Minister's visit to Silicon Valley. They hold Narendra Modi responsible for attacks on the human rights of Indian Communities. The Indian NRIs in USA have placed a report card on NDA Government's performance on the website. 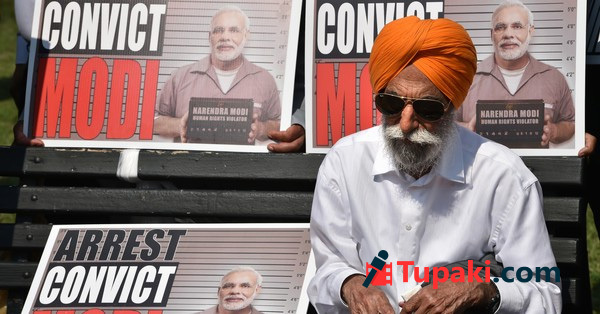 They have been placing the list of information about the protests planned against Narendra Modi during his visit to US West Coast on September 26th and 27th. Rallies have been planned on September 27th against the Indian PM. A spokesperson of the Alliance for Justice and Accountability says, "We witnessed rise in mass violence against dalits, minorities and women during Modi regime. The injustices Modi is responsible cannot be forgotten and we are trying to send the message that there is no statute of limitations on the deliberate killing of a large group of people". Countless messages started to appear on Twitter with the hashtag #Modifaildotcom.